As caregivers, we often find ourselves in the role of helping people whose health is failing. We get called in to provide needed support to elders whose bodies and/or minds just aren’t working like they used to. It’s a fulfilling line of work, and we enjoy it. We also enjoy offering tips and advice for seniors to maintain their good health, and for younger people who want to ensure that their minds and bodies are in top form as they grow older. Eat well. The value of eating well cannot be overstated. 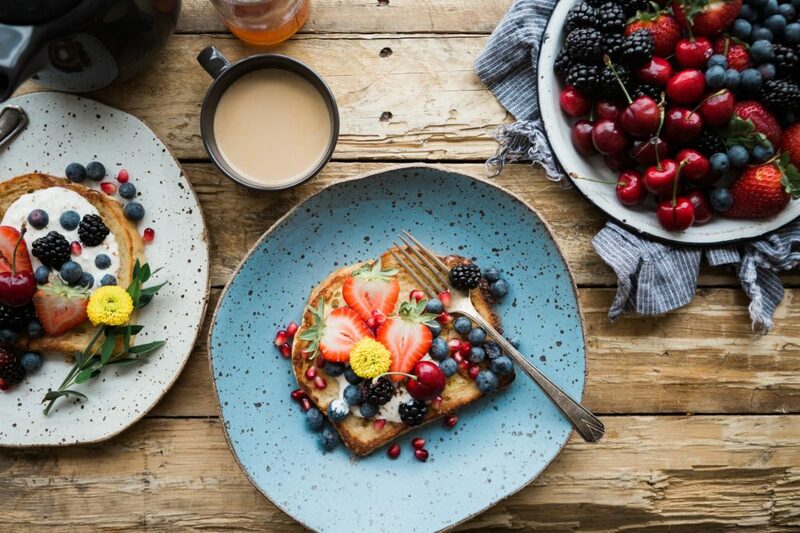 For a great look at what different foods are good for and how various nutrients are used by the body, check out this comprehensive overview from the University of Minnesota or this brief look at how nutrients affect the body. Why do we need Vitamin A, and where do we get it? How can eating more whole grains help us reduce weight gain? What are beneficial fats? Spend some time researching the value of good nutrition, and make changes in your diet today to maximize the benefits of great food. eating healthy? Here’s how to help. Sleep well. You might have heard that people can go longer without food than without sleep. Good sleep is incredibly important — critical — to good health. And not only that, it’s important to be consistent. Here are some easy ways to improve your ability to sleep well: Avoid caffeine and alcohol late in the day, keep your room dark and quiet, stay off of screens just before bed, and get plenty of exercise during the day. Learn more: Sleep is important for caregivers, too! Here’s how to ensure you’re getting what you need. Get moving. Simply put, staying independent almost always requires staying fit. Good regular exercise can keep your heart strong and prevent such problems as arthritis and diabetes. It’s good for your brain and can help stave off depression, and it’s good for your heart and can prevent heart disease. There is no substitute for an active lifestyle. If you love your body, make use of it and get moving! As a fun way of getting started, connect with a local walking group. You might find one on this list from the Washington Trails Association. Make friends. All those friends you make on the trail — or at the senior center, at the park, at church, at your favorite volunteer activity — also are important to your long-term physical and mental well-being. Social isolation is a risk factor for depression, and loneliness may be a preclinical sign for Alzheimer’s disease. What can help? Friends. Challenge your brain. Stimulating social and mental activities can help keep brains sharp, improve memory and help with daily life skills. Here are seven fun ways to ensure you’re getting plenty of great brain exercise. If you need help with any of these tasks, please feel free to reach out to us here at Take My Hand At-Home Care. We provide non-medical companion and home care services throughout Whatcom County, in daily shifts or even 24-hour live-in assistance. Stimulating social and mental activities can help keep brains sharp, improve memory and help with daily life skills. They can also be an enjoyable and fun way to spend time with the beloved elders in your life. My father works in the grocery store. This is a delightful guessing game that works for two players or a group. The first person thinks of an item sold in a grocery store and says, “My father works in the grocery store and the product he sells begins with the letter P.” (This letter is the first letter of whatever the product is. In this case the answer is pomegranate.) The other player(s) ask questions that can be answered with a simple yes or no, such as: Is it in the produce section? Is it edible? Is it green? The game continues with questions leading to guesses of what the product is until someone gets the right answer. Then the winner thinks of the next item and the game begins again. Shopping list game. In this memory game one person begins with, “I went to the store and bought some fish.” The next person repeats the line and continues by adding an item, “I went to the store and bought some fish and some rice.” With each turn the list grows and the game continues until no one can remember all of the items. Everyone may experience some good laughs with this game. Name two words for each letter in your first name. A simple version is to come up with any two words, or the focus can change to qualities, or objects. You get the idea. This can be creative and loads of fun. Trivia games. Choose topics that are of special interest to your elder such as music, art, history, sports or geography. Trivia games are wonderfully stimulating to the minds of older people. Learn a new language together and practice using the newly learned words. You can keep it simple with just a few words or phrases such as “Hello,” “Good evening,” “How are you?” in French or Spanish or any language of interest. Enjoy using these words and phrases in simple conversation, then learn more as it feels comfortable and manageable. 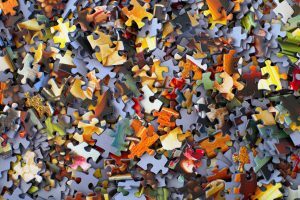 Jigsaw puzzles can be stimulating to the mind and also provide a calm and comforting companionship as you work on them together. This activity can help quiet the mind, which may be especially helpful for seniors with busy minds. Try the serving tray game to enhance short term memory. This game is great for visual folks. Place a selection of different objects from around the house on a tray. Let those who are playing have a look, then cover up the objects with a cloth. Then ask the seniors playing to recall what items they remember. 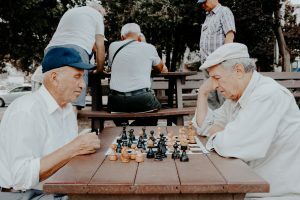 There are many possibilities for games to play with elders that may also have beneficial results. Some that are more familiar include bingo, chess, card games, Sudoku, logic puzzles, online interactive games, and also arts and crafts projects. Find out what your loved one enjoys and build from there. The National Institute on Aging offers a helpful article on Cognitive Health and Older Adults. It gives tips on the following steps that help elders with day-to-day functioning and independence. These steps have been linked to cognitive health, as well. Engaging companionship with someone who cares can provide many benefits for elders. 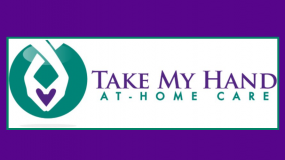 To learn more about home companion services by licensed caregivers, contact Take My Hand At-Home Care, which provides elder care for senior citizens in the following communities: Lynden, Bellingham, Ferndale, Blaine, Everson, Nooksack, Sumas and Birch Bay. One of the most important things a caregiver offers is companionship — someone to be there, to listen, to share a smile, a laugh, a hug. 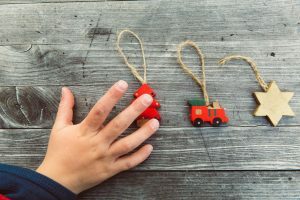 Holiday decorating to create a festive feeling at home: helping set up a small Christmas tree with lights and cherished ornaments, or putting up Christmas lights and setting out nativity scenes, favorite table cloths and other decorations. Shopping for holiday supplies and gifts. 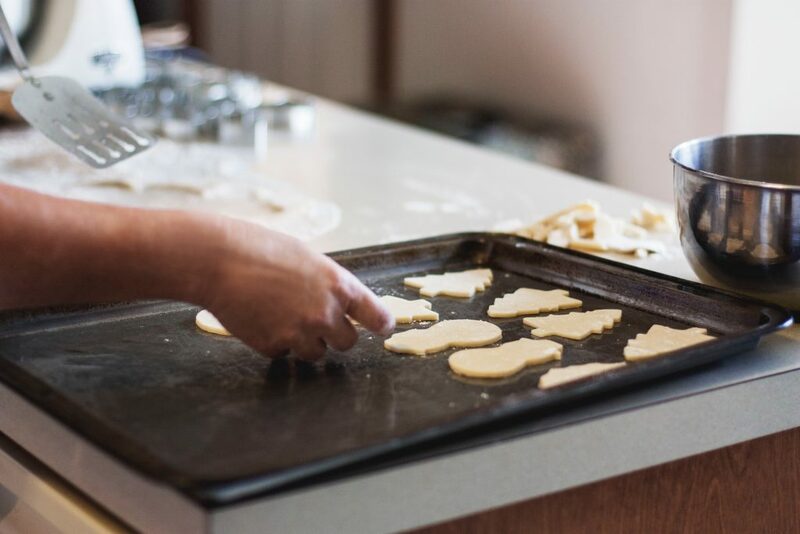 Baking or cooking favorite holiday recipes — old classics or finding new ones to share. Who doesn’t love the smell of fresh-baked cookies or a pumpkin pie in the oven? We all know how warm and cozy the delicious smells of baking and cooking makes a home feel. 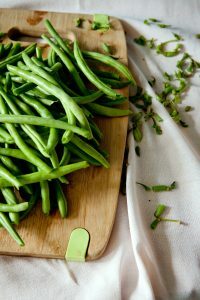 These foods can be enjoyed at home or brought to a gathering to share with family or friends. Writing and mailing holiday cards to stay in touch. At-home caregivers can help with writing notes inside the cards, addressing the envelopes, and dropping them in the mailbox. Listening to and singing Christmas carols, or maybe even going out to a local performance of carolers or the Nutcracker. An early evening drive to see the magic of Christmas light displays in Lynden or downtown Bellingham. Watching favorite, classic holiday movies and sharing memories. Arts and crafts projects to keep your loved one’s creativity engaged. These projects can be suited to each individuals’ abilities so they can enjoy the activity. Some of these (ornaments, handmade cards, watercolor paintings) might even make sentimental gifts. Arranging and driving to special visits with friends and family. Bucket list trips, something your loved one has always wanted to do — going to an art museum (such as the The Whatcom Museum in Bellingham), a theater performance, sculpture garden, sporting event or classic car show. There are many possibilities. Maybe even talking with your mom or dad to find out what kinds of things they have always wanted to do and then making a list. The holidays can bring a mix of emotions and memories, and loneliness can often increase during the holiday season. As you and your family are extra busy with shopping and other outings, licensed caregivers can provide companionship and festive holiday experiences for your aging loved ones. The simple presence of someone there who cares can make a huge difference in the life of an older adult. To find out more about home companion services, contact Take My Hand At-Home Care, which provides elder care for senior citizens in the following communities: Lynden, Bellingham, Ferndale, Blaine, Everson, Nooksack, Sumas and Birch Bay. Has your loved one been socially isolated this winter? It’s time to get out. Given the wet, cold winters we have in the Pacific Northwest, it’s common for the elderly — for all people, really — to hibernate through the winter, staying inside where it’s warm and dry. For the elderly, staying at home through the colder months can mean being isolated from friends and family. Social isolation is unhealthy; in fact, it’s a risk factor for depression among older adults, according to the National Institute of Mental Health. Who needs that? Instead, let’s let the spring sun melt away your loved one’s winter doldrums. Encourage them to get up, get out and have some fun this spring. With the warming weather, there’s never been a better time to encourage your elderly loved ones to get out of the house and out into the world. Take them for a walk through Whatcom County’s gorgeous scenery — maybe to Hovander Homestead Park or along the Bay to Baker trail into downtown Everson. Help them run errands to Haggen or Hoagland’s. Take them to see a movie at the Pickford or to reminisce about rotary telephones at SPARK Museum of Electrical Invention. Whatcom County is packed with fun things to see and do! If you need any assistance getting your loved one out and about — or even encouraging them to leave the house — please feel free to give Take My Hand At Home Care a call. Our licensed and qualified nurses are experts in caring for the elderly throughout Whatcom County, and we’d be happy to help. It’s true; there are myriad ways of showing your loved ones exactly how much you care. With that in mind, we thought it would be nice — it is the month of love, after all — to offer a few ways of saying “I love you” to the elderly in your life. Cook and serve a meal. More even than the food, which itself can make a large impact, the benefit to cooking and serving a meal to an elderly loved one is that you simply took the time to do it. Loved ones will enjoy spending time with you as they try out a new dish or enjoy an old favorite. After the meal, be sure to clean up and wash the dishes! Look through old photos together and chat about memories. Once you’ve done this, you’ll probably be asking yourself why you haven’t done it more often. 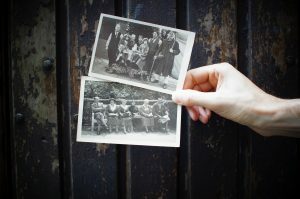 These reminisce-and-gab sessions can be a treasure, and they’ll probably also lead to stories you’ve never heard before about family history. Take them for a walk and/or help them run errands. Let’s face it: Moving around gets harder the older we get. Without someone to help, we can lose trust in our ability to walk without falling. Helping loved ones enjoy the great outdoors — and maybe accomplish a few tasks while they’re at it, like picking up a prescription or buying groceries — can really make their week. Give it a chance, and it’ll probably make yours, too! Home safety: Is the home safe for your loved one to age in place? Daily routines: What does your loved one like to do on a daily basis, and what are his or her personal preferences? What are your loved one’s personal background, interests, family and hobbies? Medical needs: What medications are being taken, and what other medical information is important? Does your loved one need assistance with doctor visits? Service cost: What is the cost of at-home care services, and what insurance will cover it? For more information, contact the licensed caregivers at Take My Hand At Home Care in Lynden. Occasionally, we sit back and think about how fortunate we are to have such amazing resources available in Whatcom County for senior care. Truly, there are wonderful support systems in place in Bellingham and throughout the area. 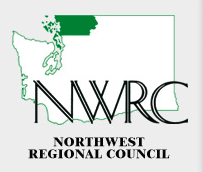 Northwest Regional Council: The NWRC is the hub of the wheel when it comes to resources for senior citizens in Whatcom County. Begun in 1971 as a collaboration among Island, San Juan, Skagit and Whatcom County elected officials, NWRC focuses on providing services for adults with disabilities and the elderly. As Northwest Washington’s Area Agency on Aging, it provides a host of services for everyone needing long-term care. With information both for the aging and for their family caregivers, NWRC is a lifeline for those who need it. Just give them a call to see what options might be available for your unique family situation. Whatcom Council on Aging: The WCOA, an independent nonprofit serving local senior citizens since 1964, offers a number of services for area adults, including the Meals on Wheels and More program, Bellingham Senior Activity Center and Bellingham at Home, a virtual community for area seniors. Elder Service Providers: Speaking of support for caregivers, Elder Service Providers does wonders in Whatcom County for those who care for others including skilled nursing facilities, assisted living, caregiver agencies and more. Their mission is to build up the community of caregivers in Whatcom County, and they do it in a number of ways, including monthly luncheons and an annual caregiver conference. 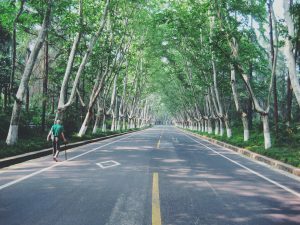 Alzheimer Society of Washington: Those caring for individuals with dementia or other memory issues can benefit greatly from the Alzheimer Society of Washington, which is based in Bellingham. 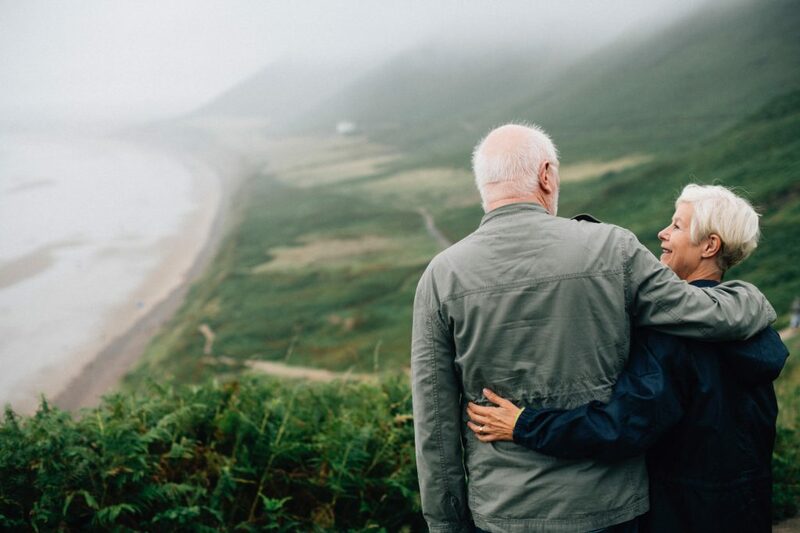 In addition to a number of support groups for caregivers and support groups for individuals with memory loss, the Alzheimer Society provides Staying Connected classes to provide ongoing support for those with early memory loss and dementia-related diseases. These are a handful of Whatcom County organizations that provide wonderful support both for caregivers and for their loved ones. Of course, you may always contact Take My Hand At-Home Care for more information; we can help guide you through the process of caring for an elderly loved one at home. We are here to help! The holidays are coming ― Here’s how to include your elderly loved ones. The holiday season ― that wonderful time of fun, friendship and family ― is fast approaching. 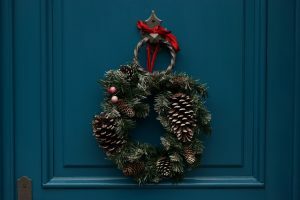 For the elderly loved ones in your life, the holidays can be special treats, times when they can feel particularly close to family as they reminisce about holidays gone by. To help ensure that they ― and you ― fully enjoy the holidays, here are a few things you can do to keep your elderly loved ones involved this Thanksgiving and Christmas season. Set aside tasks that they can help with. During the holidays, make a special point of creating and reserving tasks that your elderly loved ones can take part in. Baking and decorating, for example, can get them involved while helping them feel useful. Visit them, wherever they are. The elderly who have trouble getting around or who live in nursing homes often are at the mercy of others during the holidays. Make a special point of visiting with grandpa and spending some time together. Bring some fresh-baked gingerbread cookies and a board game, or just sit and chat, bringing him up to speed on the days since you’ve last connected. More tips for combating elder loneliness during the holidays. Help them use technology to connect. Oftentimes there are family members who live too far away to visit in person during the holidays. Set up an elderly loved one with a simple tablet computer and access to the Internet so they can use email and interact with family via video chats. 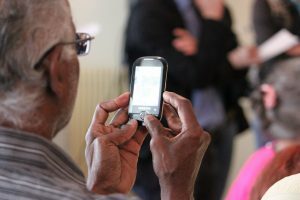 Technology can be overwhelming for the elderly, so keep it simple. Start with one app for email and one app for video messaging. Pool resources for extra assistance. Another great help for the elderly (and for the rest of the family) during the holiday season is the extra assistance provided by part-time caregivers. If you know you’re going to be busier than usual during the holidays (and who isn’t! ), consider pooling resources with siblings to provide additional caregiving for mom or dad. This can free up your time to accomplish additional tasks while ensuring that your loved ones are properly cared for. Take My Hand At-Home Care offers a wide variety of eldercare services. 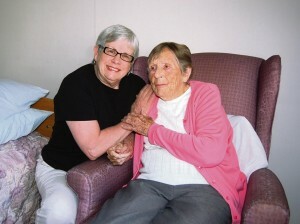 Take My Hand At-Home Care has been offering top-notch care services for the elderly in Whatcom County for many years. From three-hour visits to 24-hour live-in assistance, our licensed, bonded and insured caregivers offer options to meet nearly every need. Contact us today to get started. That’s a principle taken to heart by the staff here at Take My Hand At-Home Care. When parents, grandparents, friends and neighbors need long- or short-term help with daily living needs, the most comfortable and convenient place for them to receive care is at the place with which they’re most familiar: home. For those who live far away from their loved ones, however, ensuring that they get the help they need can be difficult. Thankfully, today’s technological age offers several good solutions. 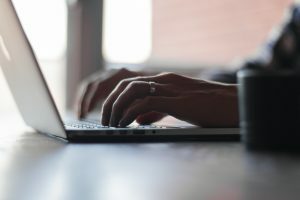 From the other side of the city, the state or the world, these three tech tricks can prove invaluable in staying in touch with loved ones and their care providers. Keep in mind that no gadget can replace the safety, security and personal touch offered by a licensed caregiver, so all of these technologies will work best when paired with an at-home attendant such as those provided by Take My Hand’s 12-hour overnight shifts. Video chat: Technologies such as Skype, Google Hangouts, Facetime and others can help prevent isolation while allowing you to chat with your loved one. Regular chats provide something for everyone to look forward to while also giving defined intervals for updates and progress checks. Online monitoring: At Take My Hand At-Home Care, loved ones can log in to the website to see which caregiver is scheduled to be in the home providing care at any given time. Through this safe and secure system, loved ones near or far can monitor caregiver schedules for parents, grandparents, friends or neighbors, allowing them to put a name to the caregiver and a person to contact should questions arise. GPS tracking: This can be particularly helpful for senior citizens who are especially mobile. When an individual misses a doctor’s appointment, for example, loved ones can track their location via their cell phone or other device to get insight into what might be happening. Telephone calls: Often overlooked in today’s over-the-top tech world, mobile phones are a revolution in providing an ability for loved ones to stay in touch. Because they’re so mobile, elderly loved ones can keep them nearby at all times, meaning that they (and you) are always just a phone call away. As mentioned above, no gadget is foolproof; another solid way to ensure the wellbeing of a loved one is via the personal touch of a caregiver. Take My Hand At-Home Care offers various shifts, from 12-hour overnight care up to 24-hour, round-the-clock assistance, that provide invaluable assistance for individuals during the aging process and peace of mind for their loved ones. 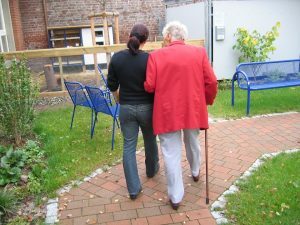 Some of the most challenging decisions families face involve whether to place their aging parent into a nursing home. We hear that often from the people we work with. Feelings of social isolation and loneliness can be a problem at any age, but those feelings can occur more often as people grow older. are at higher risk, representing over 60 percent of isolated older adults.